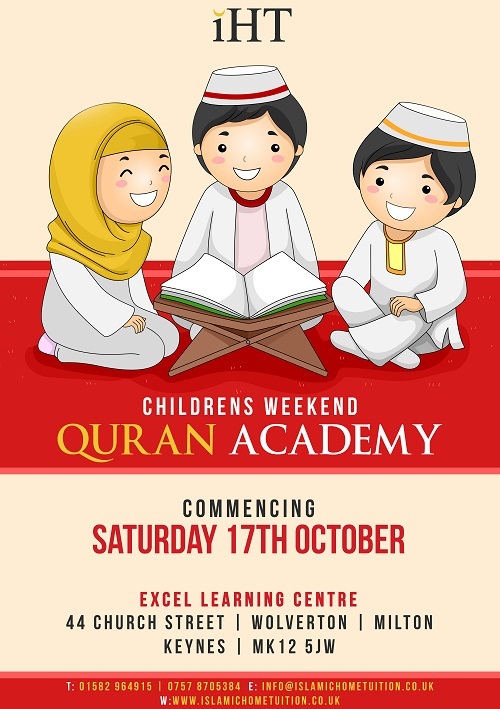 The IHT Weekend Quran Academy will focus specifically on the recitation of the Quran whereby children will learn the theory and the practical side of tajweed. The tutor will concentrate on enabling the student to read competently. We like to keep in touch with clients and friends by email and theres no spam .. we promise! Honest!